Marlene is Chief Operating Officer and Chief Financial Officer of The SPARK Institute. The SPARK Institute is the leading voice in Washington for the retirement services industry. Prior to joining The SPARK Institute, Marlene was the Founder and President of Marlene D. Jung, CPA, LLC and Jung & Associates, LLC public accounting and financial and computer consulting firms. Marlene has over 20 years of experience in accounting and retirement plan tax saving strategies for businesses. Marlene formerly served as a financial analyst with ESPN, auditor and tax specialist for KPMG Peat Marwick and an Internal Revenue Agent for the Internal Revenue Service, Department of the Treasury. Marlene is also a member of the American Institute of Certified Public Accountants and Connecticut Society of Certified Public Accountants. 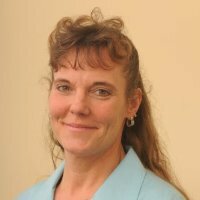 Marlene also serves on the Board and the Government Affairs Committee of the Simsbury Chamber of Commerce. Marlene received her Master of Science in Taxation from the University of Harford, and a Bachelor of Science in Accounting from Central Connecticut State University. Marlene enjoys breeding German Shepherds and taking them kayaking.